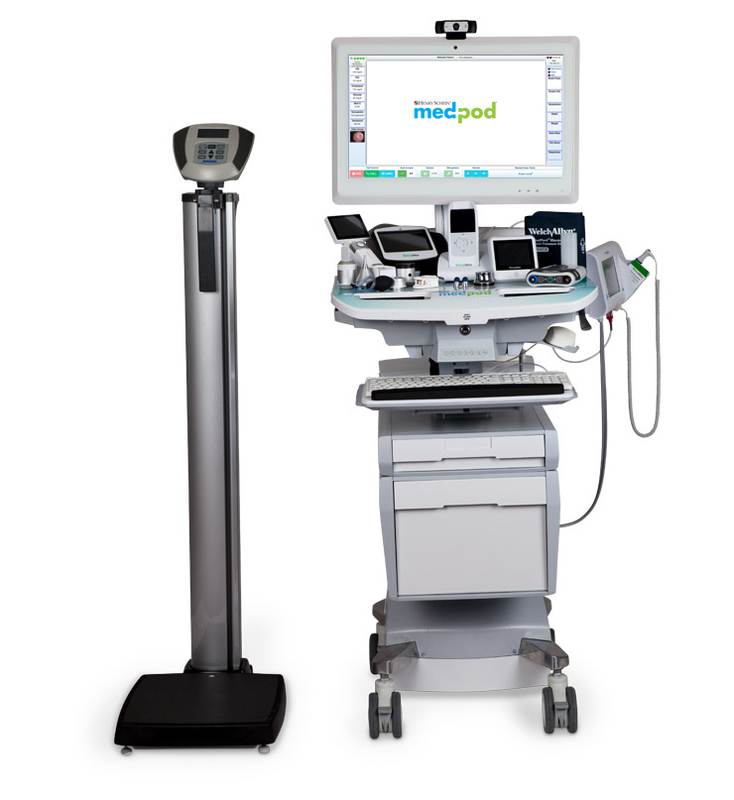 The Medpod MCT Telemedicine Cart is advanced healthcare technology packed into an extremely powerful, versatile and productive mobile form. 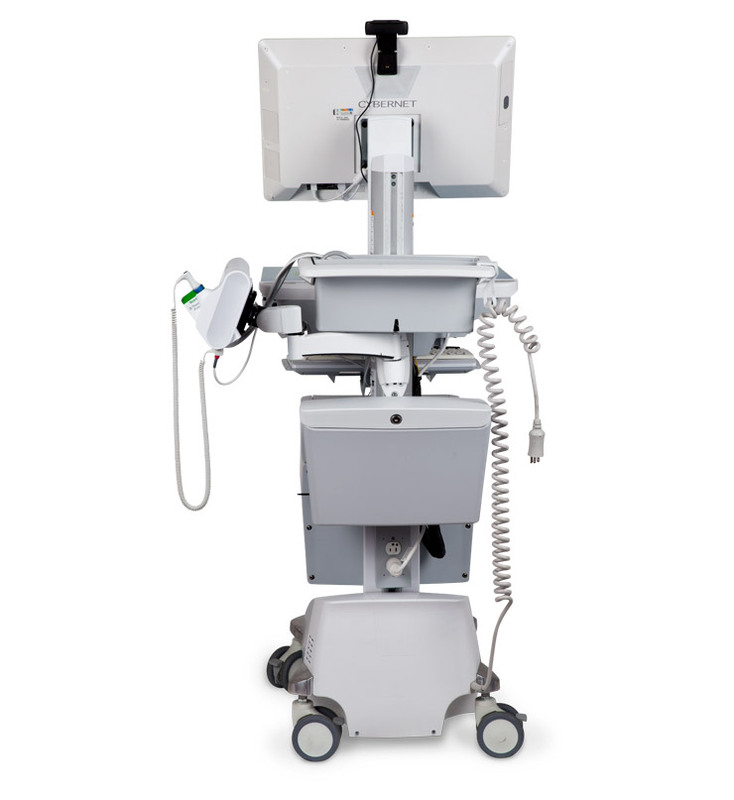 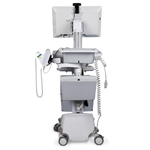 Ideal for use in any practice – from physician offices to urgent care centers to hospitals – it is designed to move freely and easily to wherever quality healthcare is demanded. 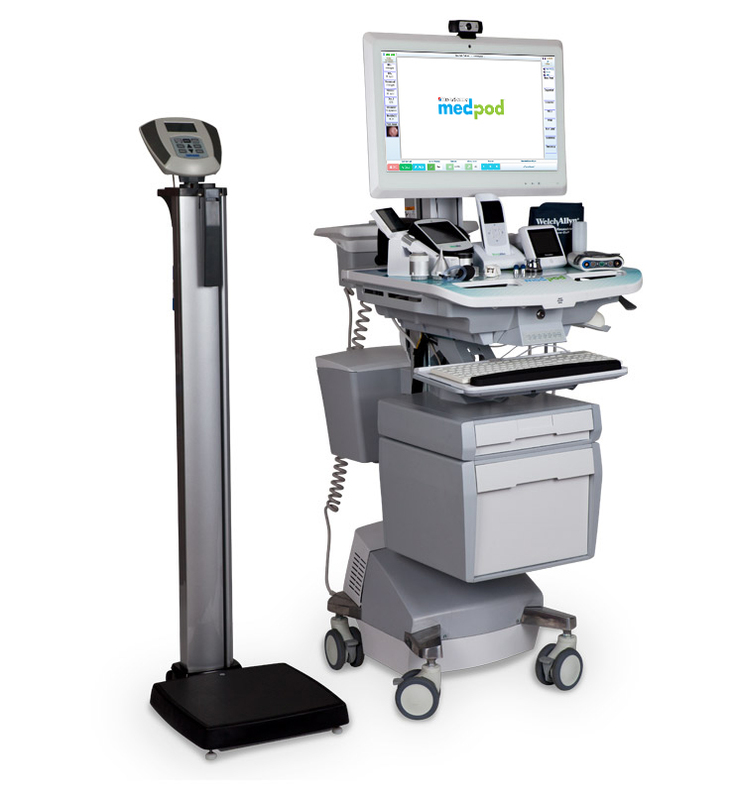 Powered by the Medpod AMP software, it removes the need for physicians to be in the office in order to see and care for patients. 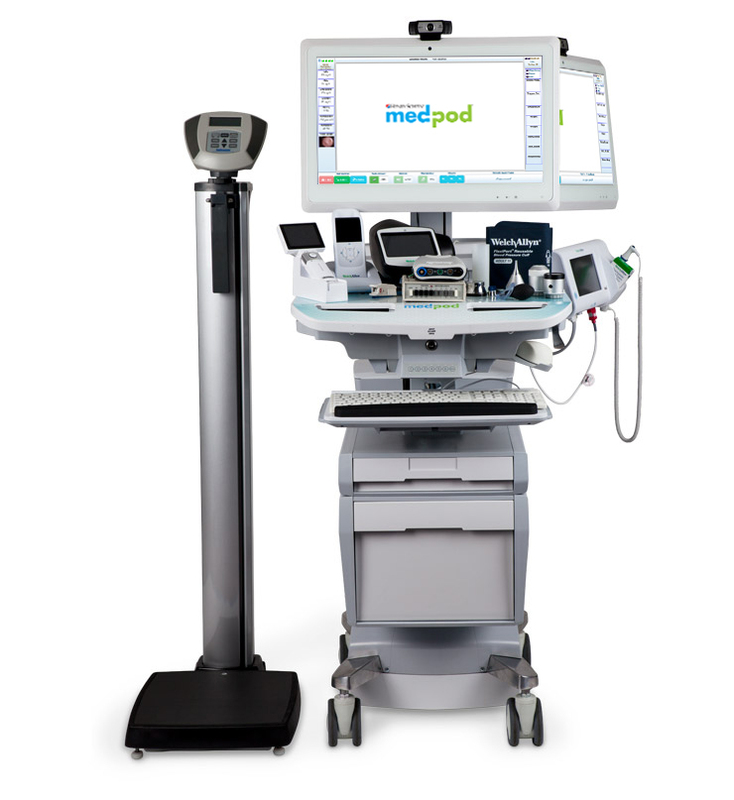 The Medpod MCT Telemedicine Cart can be called upon anytime to speed and support daily in-office logistics, or it can be easily moved and leveraged to varying degrees of patient engagement depending on practitioner and patient need — whether to optimize productivity during high-volume periods or to reach low-density populations to deliver world-class care to rural, remote or underserved areas. 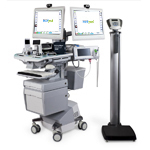 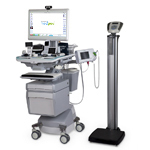 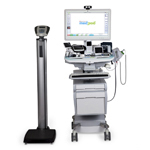 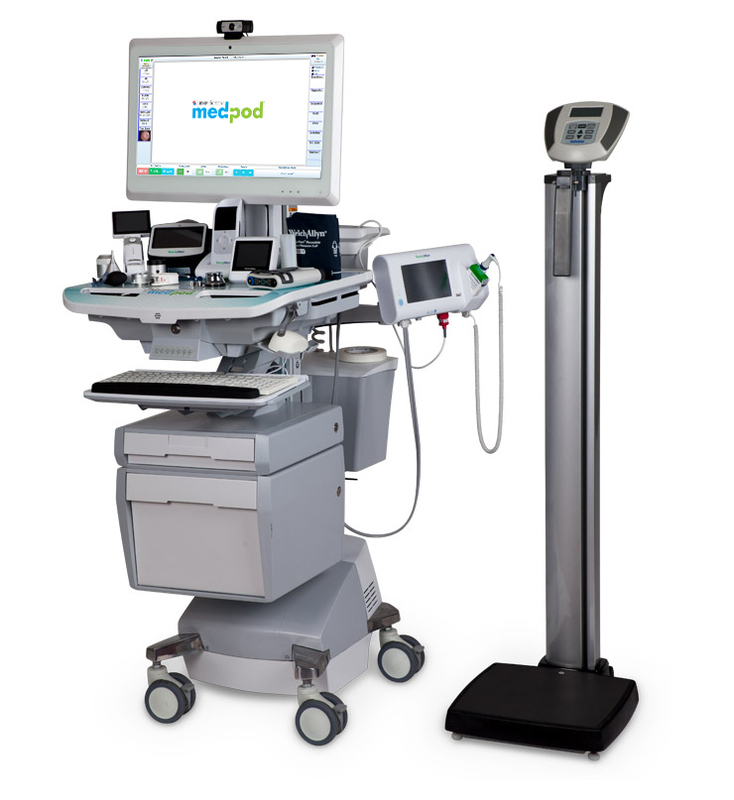 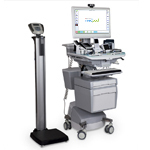 From basic vitals to EKG, spirometry, ultrasound and x-ray, the Medpod MCT Telemedicine Cart comes fully equipped to deliver primary care functions and can be easily and cost-effectively outfitted to manage advanced specialty care, as well. 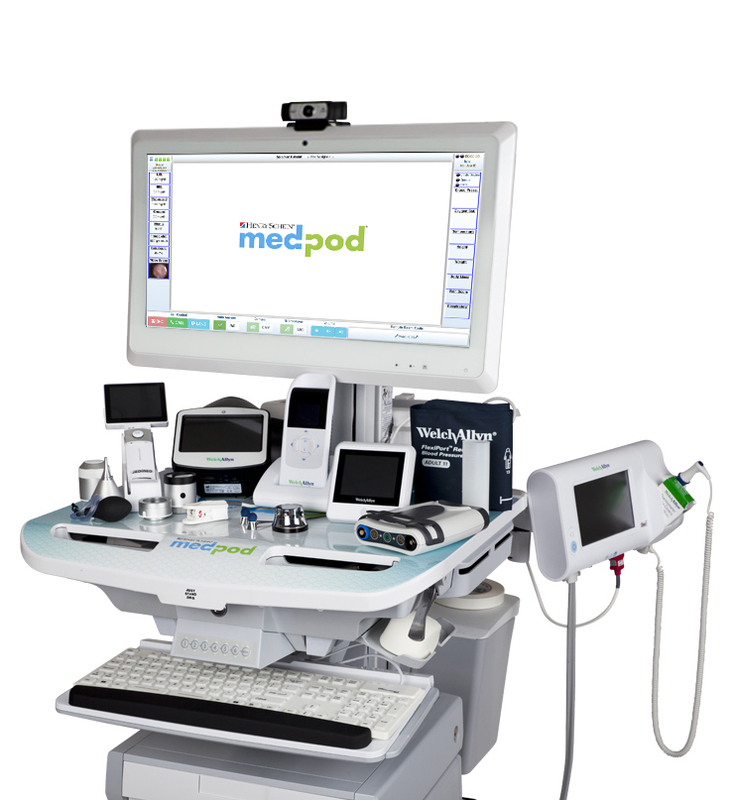 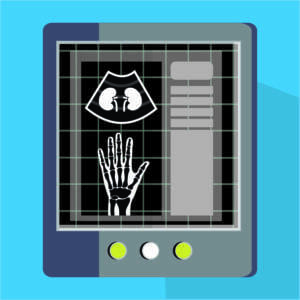 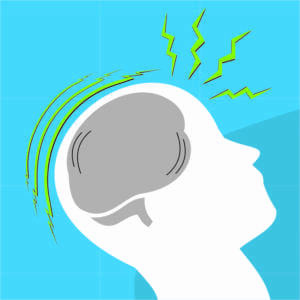 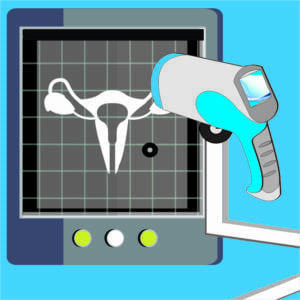 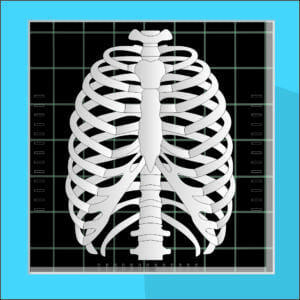 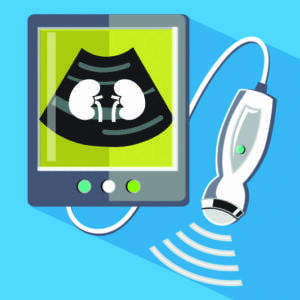 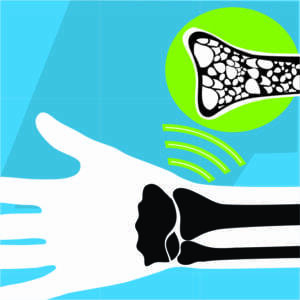 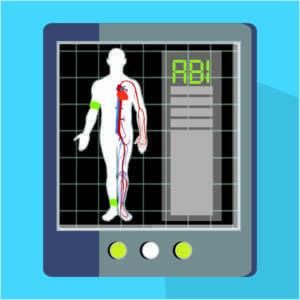 Medpod’s proprietary AMP software fully automates the collection of all data and images from diagnostic devices on the Medical Cart and transmits this information to both the remote physician and the patient’s EHR in real time. 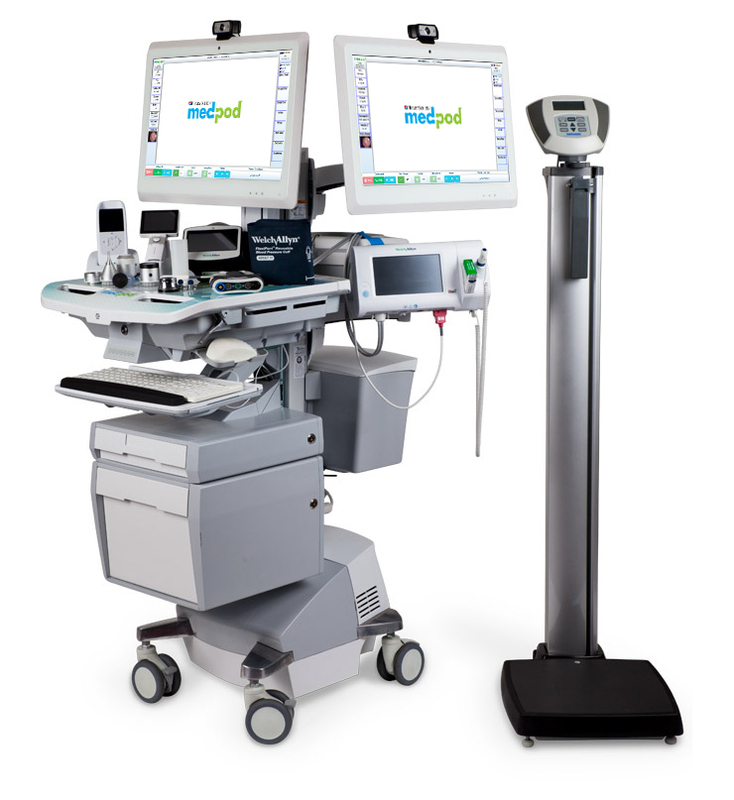 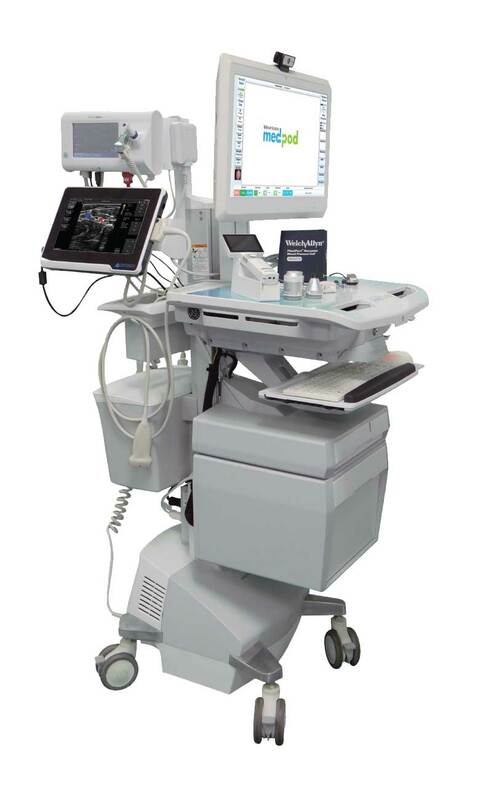 Its optional dual monitor and overall ergonomic design ensure optimal workflow and positive patient engagement to accelerate and enhance the delivery of care. 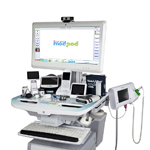 Copyright 2019 MedPod, Inc. All Rights Reserved. 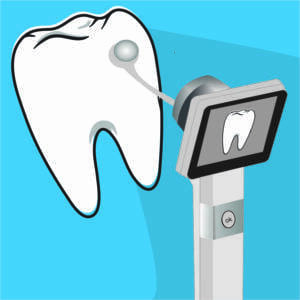 Henry Schein is a registered trademark of Henry Schein Inc.